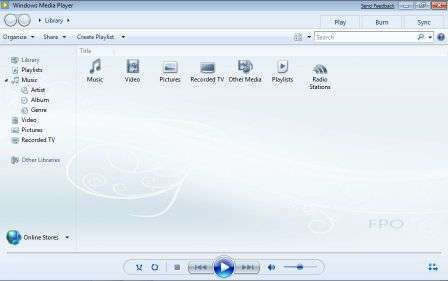 Windows Media Player 12 (WMP12) is going to be released as part Windows 7. 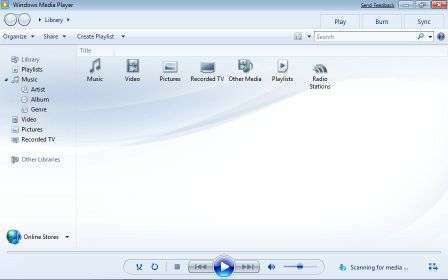 The main feature of Windows Media Player 12 or WMP 12 is the significantly enhanced and beautified graphical user interface (GUI). Gone and removed is the “Now Playing” button. Instead, “Now Playing” is now a full screen (video size adjustable) playback view with just playback controls. Other feature of WMP 12 is inclusion of native support for H.264, Xvid and DivX video as well as AAC audio. WMP12 also adds Library View to separates library management from the “Now Playing” window. 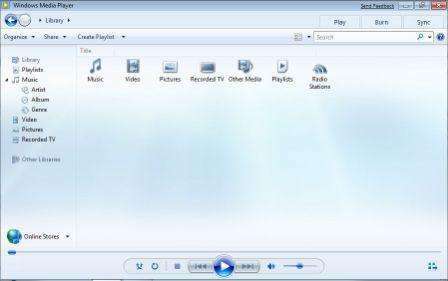 Library in WMP12 allows user to manage media files such as Playlists, Music, Video, Pictures, Recorded TV, Radio Stations and other media. The Library View of WMP 12 allows user to use and apply a background image. In fact, WMP12 includes several background image by default. 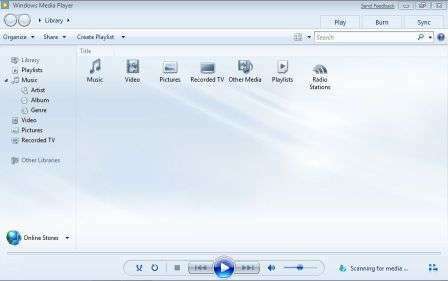 If you don’t like the current background of Windows Media Player 12 Library View, use the following registry hack to modify and change the background image to other included image. In the right registry value pane, locate the REG_DWORD (DWORD 32-bit) registry entry named LibraryBackgroundImage. The default value data for LibraryBackgroundImage is 6. Modify the value data to other number to change the WMP12 Library background image. 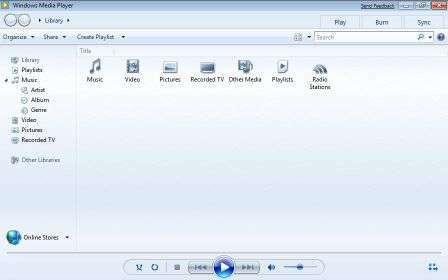 Exit from Registry Editor and restart Windows Media Player for new background image to take effect. The new background images are apparently stored in wmploc.dll. With the above trick, there is no need to manually hack the wmploc.dll to get the new background image on WMP12.